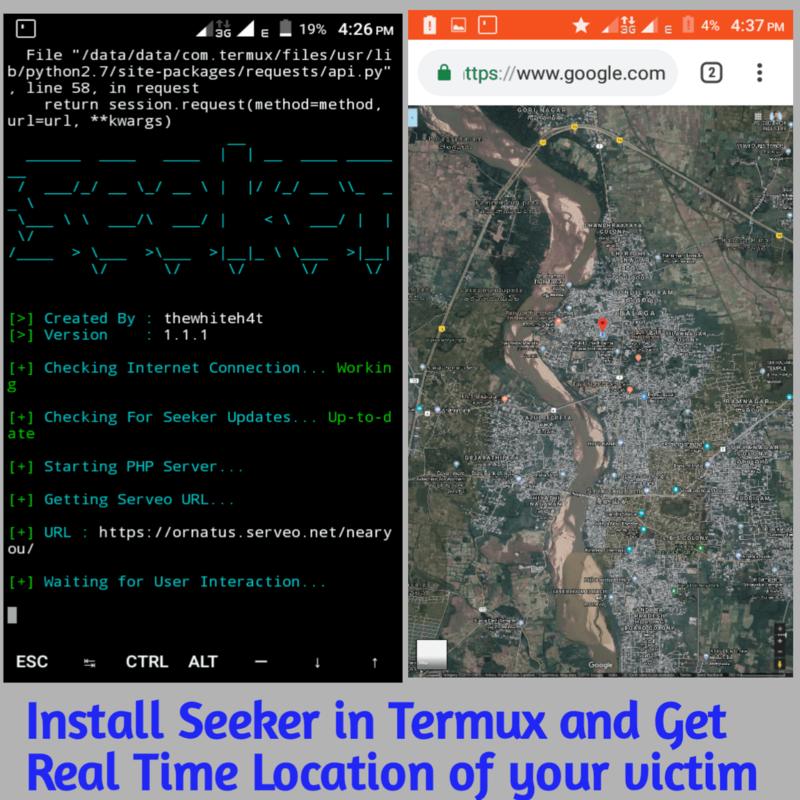 In this tutorial am gonna teach you how to install seeker in Termux and get someone's real time location. Sometimes we have to track someone and get his/her exact location, so you may try IP address location tracking but it may not work at all. 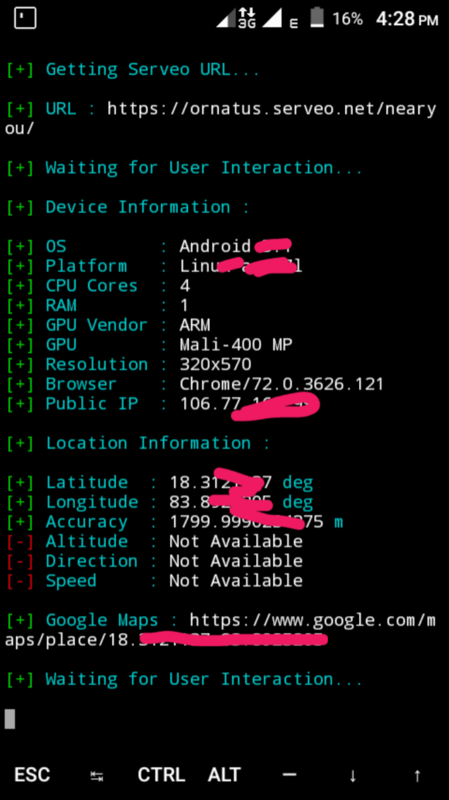 You might also wandered how to track someone's exact location with IP address. 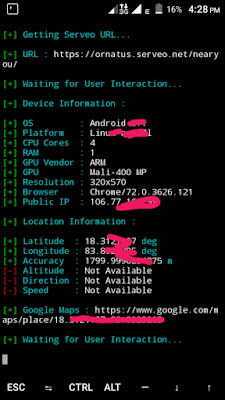 As we know its too difficult to track an IP address exact location. That's why we have sharing this simple tutorial to make your job much easier. Note: This Tutorial is only for educational purpose and we won't be responsible for any misuse. 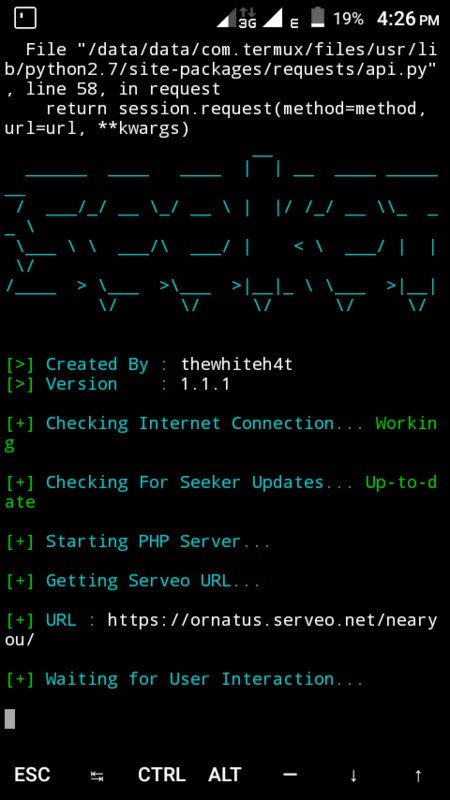 Seeker is a simple tool written in python, with inbuilt php server and Ngrok, and works like a simple phishing page that grabs Public IP, location, Operating System, Platform, Browser name & version etc. 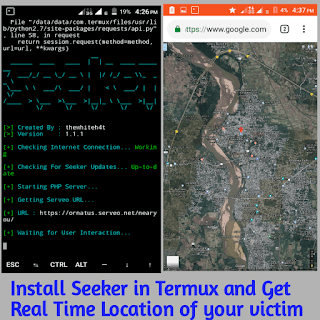 Follow Below steps to install seeker in Termux. You will get a link as shown in screenshot, so copy the link and send the link to anyone whom location wanna track.. Note: sometimes your victim must allow permission to share their location with the fake site. 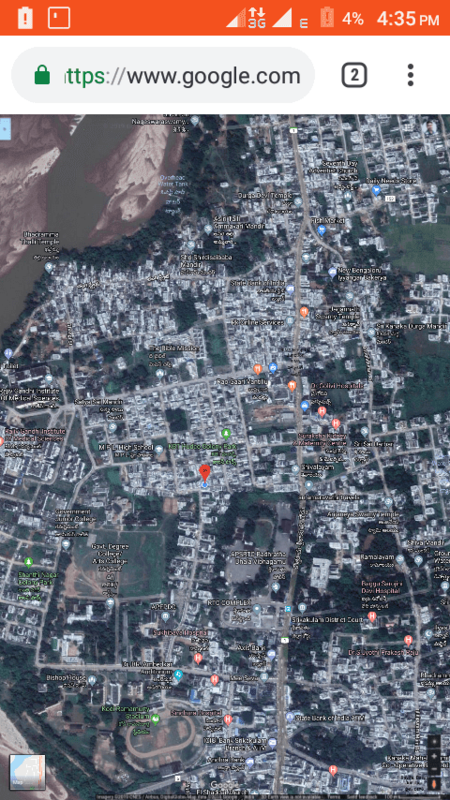 Most of the times you will get the exact location of someone's along with IP address.